Change things up with these side-trips from Perth: Fremantle (Fremantle Prison & Fremantle Markets). Dedicate the 27th (Sat) to wine at some of the top wineries in the area. 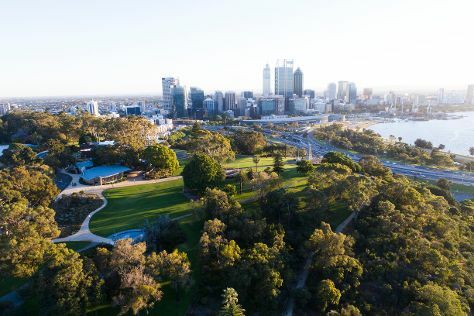 There's much more to do: take in nature's colorful creations at Kings Park & Botanic Garden, snap pictures at Elizabeth Quay, contemplate the waterfront views at Swan River, and appreciate the history behind Kings Park War Memorial. To see more things to do, ratings, traveler tips, and other tourist information, go to the Perth trip planner . Kuala Lumpur, Malaysia to Perth is an approximately 9-hour flight. You can also do a combination of train and flight. In July, Perth is much colder than Kuala Lumpur - with highs of 21°C and lows of 8°C. Wrap up your sightseeing by early afternoon on the 28th (Sun) to allow enough time to travel back home.